THE criminal and terrorist activities instigated by the opposition and its surrogate organisations is an attempt, albeit futile, to plunge the country into civil disobedience in a sinister agenda to overthrow a constitutionally elected Government. 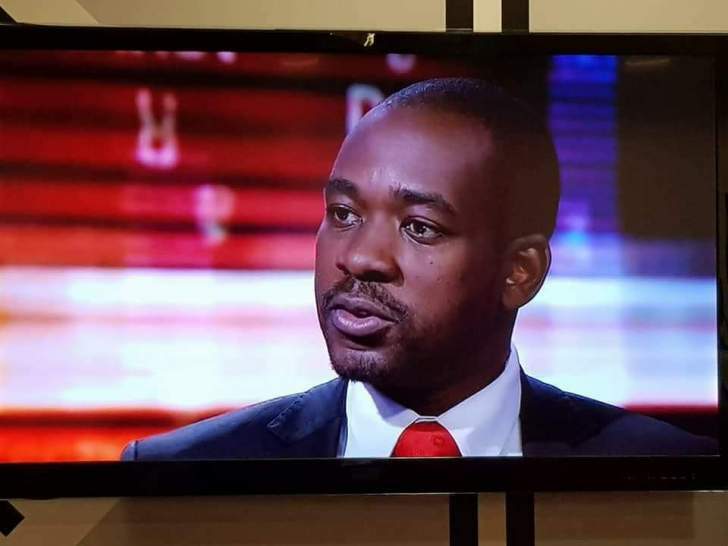 The well choreographed chaos code saw MDC-Alliance affiliated groups leading some youths into unleashing violence, looting shops and destroying property in the pretext of demonstrating against the fuel hikes announced last weekend. The Zimbabwe Congress of Trade Unions which gave birth to MDC in 1999, called for the three day "stay" away on behalf of its handlers, the MDC- Alliance in a bid to cover their tracks after a similar call for civil disobedience on August 1 last year resulted in the death of six people. The attempt to disguise their evil plot as a "mass uprising" was betrayed by their merchants of violence who went on a looting spree while at the same time unleashing violence targeting innocent people going about their business. They had excess supply of tyres that they burnt all over the city especially in western suburbs leaving many to wonder where they got them on short notice. Again, the criminal elements unleashed violence on peace loving Zimbabweans who had ignored calls for a stay way by reporting to work on Monday. It can be said that the stay away had initially been ignored but shops were later forced to close when the opposition mob started looting from the shops and assaulting those that had reported for work. The people therefore stopped going to work not because they were sympathetic to the lost cause of the enemies of Zimbabwe but in fear of being harmed by the violent hooligans. Now, information being received is that there were trucks going around the western suburbs plying youths with alcohol in order for them to have the courage to engage in criminal activities. And these so called demonstrators had a list of targets within the business sector as well as individual residents showing the violence was planned well in advance. Clips started circulating on social media on Monday showing the mobsters looting shops and burning property. In Bulawayo clips were showing people looting at various branches of Choppies Supermarket and other business premises in the western suburbs. A woman was captured struggling to push a trolley full of looted groceries with a voice advising her to carry what she could. It is said that a smaller group of about six would initially break into the shops and then let in the mob to ransack the retail outlets. The mobsters also targeted infrastructure like toll gates, police camps and even personnel resulting in the death of a police constable stationed at Bulawayo's Entumbane Police Station. Some formed makeshift toll gates where they demanded to know what business motorists going to town had in the city and what those going back were doing in town. In some cases, hooligans demanded "passage money" from motorists. What is thread bare is that the criminal activities from Monday to Wednesday coordinated by the opposition and its surrogate organisations were an effort by the opposition to try and collapse the nation. Credit goes to the vigilance of the security arms of the state who moved in to quell the violence and arrested some of the perpetrators. The Minister of Information, Publicity and Broadcasting Services Monica Mutsvangwa on Tuesday said the actions by the opposition amounted to terrorism but said efforts to over throw a democratically elected Government would not work. "Government is aware of the identities of the ring leaders, their modus operandi and their funders. Our security forces have already arrested some of the ring leaders and more than 200 perpetrators and they will soon appear in court," she said. "Let me remind all Zimbabweans that no one should attack the police in any civilised society." After three days of chaos that failed to achieve the regime change agenda by the opposition and its allies, there are many lessons Zimbabwe should draw from this episode. In Bulawayo for example which has over the years experienced de-industrialisation, the focus is supposed to be on reviving industries and not looting and burning shops. What is surprising is that the same residents crying for jobs yesterday attempted to burn down one of the major bread manufacturing plants. When the President is leading calls for investment in the country, we have individuals who choose to sabotage those efforts by looting from businesses as part of a criminal ploy to change the Government. This ploy has never worked before and it will never work now. When calm is restored, which eventually will, from where will those looters buy after burning shops? It is self defeating to destroy institutions that bring you convenience in a bid to make a statement. Governments are either changed or retained through the holding of elections which were held in the country last year with the ruling Zanu-PF emerging victors and no amount of looting or riotous behaviour can change that fact.